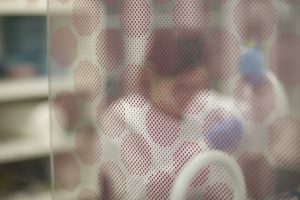 Since its inception, RCH1000 has provided vital support to research that’s revolutionising the way sick children are cared for. With a focus on heart disease, stroke, epilepsy and pathology, these cutting edge projects show what can be achieved through the support of generous people like you. Read on for the significant projects RCH1000 has supported over the years. Though commonly thought of as an older person’s condition, heart disease is a serious issue for children too. Nearly 10 in every 1,000 babies born will be diagnosed with congenital heart disease, a term describing heart abnormalities discovered in utero or at birth. Though less common, some children are affected by acquired heart disease in later childhood. To better understand the causes of paediatric heart disease and how best to treat it, RCH100 supported the establishment of The Australia & New Zealand Children’s Heart Research Centre at the RCH. Built adjacent to the old hospital, the Centre employed a team of full time researchers who developed new treatments for children who could not have been treated a decade prior. In addition to their work aiming to understand congenital and acquired heart disease in children, research also extended to the examination of foetal circulation, the effects of the repair of congenital heart disease on the developing brain in early childhood and the effects of premature birth on cardiovascular health in young adults. The team also worked on the development of novel techniques to examine these complex conditions. Another condition often thought to affect the elderly, childhood stroke occurs more often than you think. Each year, approximately two children in every 100,000 will suffer a stroke. One of the top ten causes of death in childhood, stroke also had the highest mortality rate in the first 12 months of life. Of the survivors, 50-85 per cent will have long term health concerns including seizures, physical and/or development disability, and speech impediments. 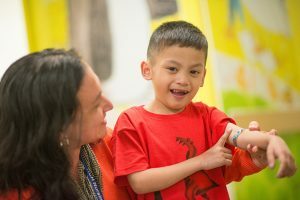 The Paediatric Stroke Neuroscience Research Facility helped the hospital expand its care and research programs for children affected by stroke and epilepsy. 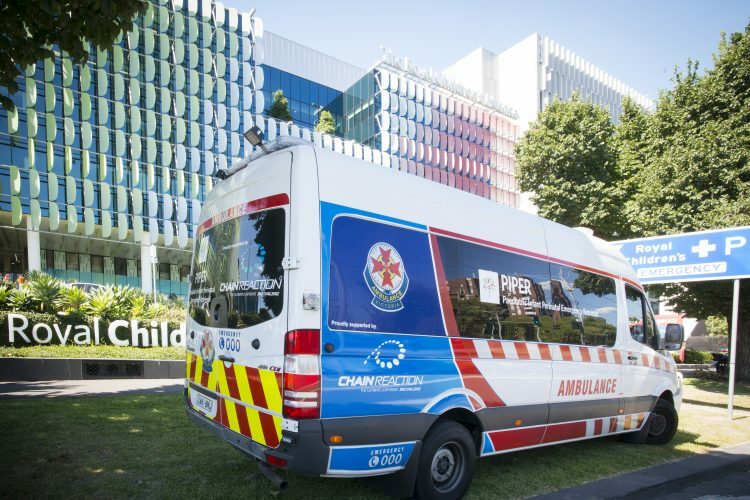 As part of this, the RCH joined the International Paediatric Stroke Consortium to collaborate with colleagues in the US, Canada and the United Kingdom. By entering patient data into an International Childhood Stroke Registry, the RCH team assisted with research studies including validation of a paediatric stroke scale and multicentre randomised controlled preventative treatment trials. Advances in brain imaging over the last two decades, particularly magnetic resonance imaging (MRI), have led to significant improvements in the diagnosis and treatment of neurological disorders in children. 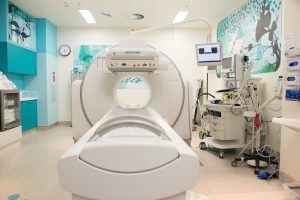 Not only does MRI detect and characterise underlying brain lesions, it can provide important information about brain functions, pathways, networks, circulation, chemistry and metabolism. When combined with metabolic data from positron emission tomography (PET) and electrical data from electroencephalography (EEG), even more detailed images of brain structures and processes can be generated and manipulated, to better inform diagnosis and treatment. At the RCH, the benefits of this neuroimaging revolution have been most notable in the areas of epilepsy, brain tumours, stroke, multiple sclerosis and brain malformations, areas in which the RCH is recognised nationally and internationally for its excellence in neuroimaging and treatment. With the employment of two research officers for the MCRI Developmental Imaging Group, MCRI was able to increase the Developmental and Functional Brain Imaging Research Laboratory’s capacity. Between them, the research officers processed brain imaging data in over 400 children, generating images that have been vital for management of seizures, tumours and strokes. Furthermore, during the period of RCH 1000 funding, 260 epilepsy surgery operations were undertaken at the RCH, each drawing on some aspect of advanced neuroimaging. Brain scanning and processing performed by the two neuroimaging scientists include combining PET scans of brain metabolism and MRI scans of brain structure to define brain regions giving rise to seizures in children with epilepsy, preparing 3D brain surface maps from MRI scans to reveal safe neurosurgical access to lesions, simultaneous EEG recording and functional MRI imaging of brain activity in the scanner to study seizure networks in epilepsy, functional MRI localisation of normal language and motor functions in the brain, nerve fibre tracking of visual, sensorimotor and language pathways, generating images of brain blood flow in children with stroke, and functional MRI of seizures recorded in the MRI scanner. 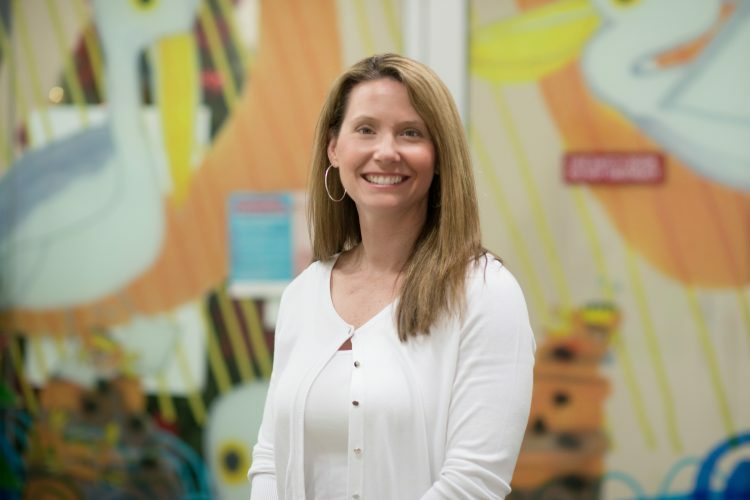 The Developmental Imaging Group team has developed and implement advanced brain imaging and image analysis methods, scanning thousands of children per year and completing over 175 research projects. It’s a well-known phenomenon that many acquired diseases in adults have their origins in childhood. Common problems like high blood pressure and obesity begin to occur through bad habits or possibly through illnesses these children have suffered. 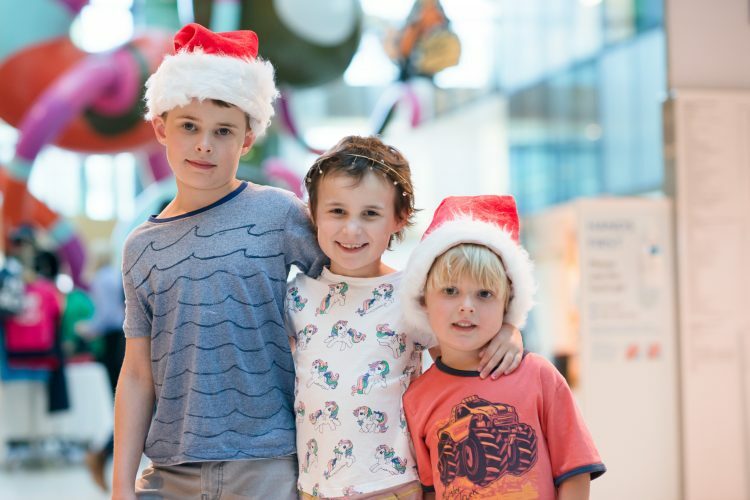 The RCH Cardiology team believe that these other childhood conditions have an effect on the health of blood vessels and the heart, and investigated this theory. Diseases characterised by inflammation like obesity, inflammatory bowel disease and arthritis are known to increase the incidence of heart attacks and strokes. However, it’s yet to be determined whether the diseases or their treatment cause the acceleration of cardiovascular problems. There are a number of ways to detect early abnormal changes in the structure and function of blood vessels which cause heart disease. If these changes are proven to be present in young people with chronic illness, it would allow for earlier identification of at-risk individuals and potentially earlier treatment or preventative measures. Recruiting more than 1,000 children, this study assessed them from pregnancy to the age of four. The study showed that faster weight gain in early infancy due to an excessive intake of calories is associated with thicker blood vessel walls, an indicator of increased risk for future cardiac issues. This study assessed over 1,500 children across Australia since birth, making detailed health and lifestyle measurements including vascular and lung function measurements. This study worked to determine an age appropriate measurement of central aortic pressure, or pressure in the part of the aorta closest to the pumping chamber of the heart, through the use of a standard blood pressure cuff. In a collaboration with colleagues in Jakarta, RCH Cardiology studied the effects of HIV and the associated drug therapy on children with the virus. Findings showed that HIV makes the heart more prone to abnormal heart rhythms and reduced function. 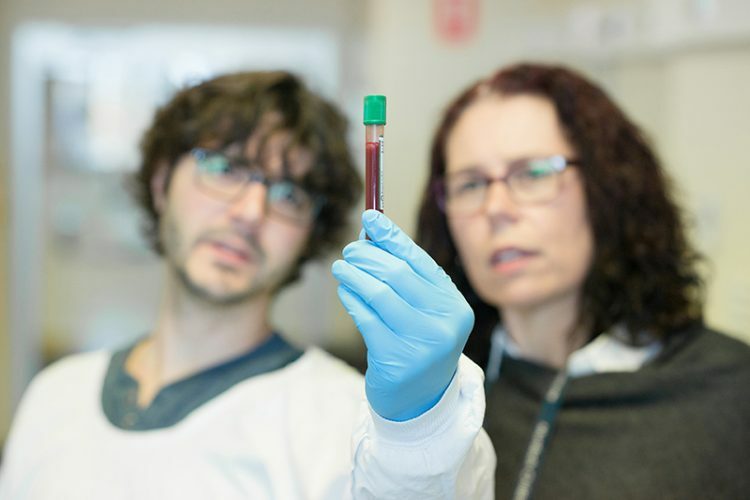 Through a new process called pluripotency, RCH Cardiology grew heart muscle and vascular stem cells from patients with pulmonary hypertension, aiming to use the stem cells to heal damaged tissues. No child likes to have a blood test. Parents don’t like watching their children have blood tests either, but believe that the blood test will help diagnose if their child is sick, monitor the progress of their child’s illness and treatment, or confirm that their child is ‘normal’. But, what is ‘normal’? In scientific terms, we usually define it as being the range of test results in which 95 per cent of the normal population will lie when in good health. However, for most blood tests which we measure clinically, the normal range changes with the age of the patient and what is normal for an adult may be extremely abnormal for a child. For example, in some blood clotting tests one third of children will be called abnormal if you compare their blood test result to the adult normal values instead of the age appropriate child normal values. 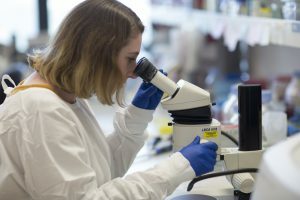 The HAPPI Kids, or Age Appropriate Pathology, study was designed to fix this dilemma by collecting blood from normal, healthy babies and children from birth to 18 years old and doing all the clinically relevant blood tests across biochemistry, immunology, haematology and coagulation laboratories used to diagnose and monitor children in current medical practice.